Christmas on the Horizon: Why a Vuly is such a great gift. Now that it’s November, we’re all officially allowed to talk about Christmas! Before you start madly dashing out to the shopping centres looking for the perfect present for you kids, remember that a Vuly trampoline (or an accessory, if you already have one) is a gift that keeps on giving. We’ve spoken about all the fantastic activities and fun that your kids can have on a Vuly, and today we want to show you other reasons why our trampolines make for a memorable Christmas. There’s nothing that fills kids with wonder quite like seeing and opening a giant present on Christmas morning, and you won’t find much bigger than an assembled Vuly trampoline! While you may need a half tonne of wrapping paper to cover it, we guarantee that your child’s eyes will light up when they tear it all off. A Vuly is also a present of instant fun. While the adults in the extended family catch up over the special Christmas day meal, the kids can all take turns on the best, and most inclusive, present of the year. Trust us, there’ll be no stopping them spending the day bouncing. 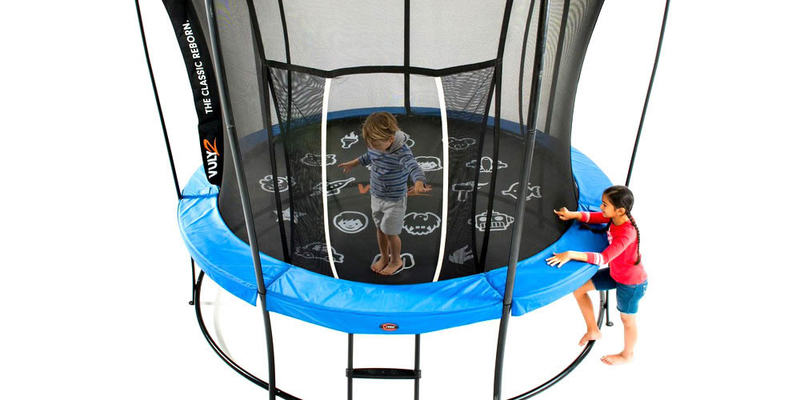 Forget toys or gadgets that’ll only be played with once; a trampoline is a gift that your child will use for years to come. There’s no age limit to a Vuly! Even though it may be a ‘present’ for your kids, a Vuly is more importantly an investment in the health and fitness of your entire family. 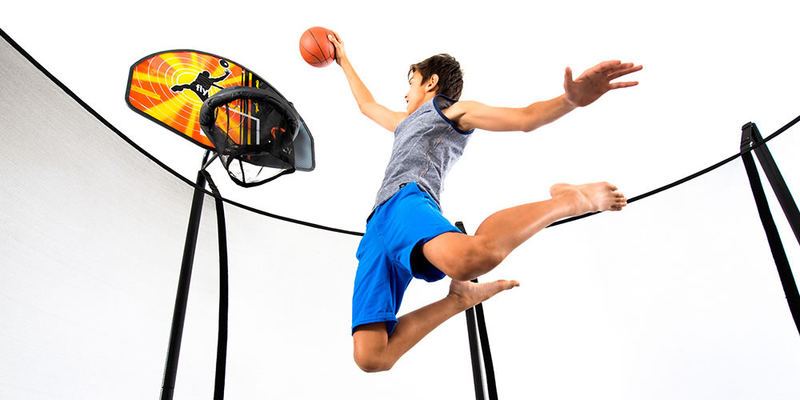 A diverse range of accessories also means that your trampoline will be an easy source of Christmas present ideas every year—a Basketball Set in 2016, a Vuly Deck in 2017? Who knows what accessories we’ll have available in the (very near) future. The best presents for kids are the ones in which you can also get involved. Instead of giving them a gift that they’ll only play with by themselves, a Vuly is an opportunity for you to be a part of their Christmas memories, and the ones that they make afterwards. Do you have more than one child, and want one big present for them all? There aren’t many toys out there that you can rely on kids to share, but a Vuly’s one that none will have a problem rationing. They can all spend the night inside the tent for a camp out or take turns playing games. This summer, you won’t hear anyone shouting “It’s mine!” or “Give it to me!” from outside. Have you secured yourself and your kids a Vuly for Christmas? Tell us about the fantastic memories that you’ve created.